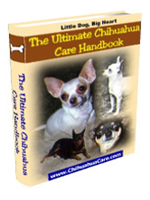 The true origins of the Chihuahua may never be known with any great degree of certainty. There are many theories and conflicting stories about the breed’s long history. The name Chihuahua comes from the province in which modern Chihuahua’s were found in 1850. The ruins were near Casa Grande in the Chihuahua province, near the Texas border. The dogs were thought to be Techichi, a small breed that was unable to bark and had long hair. These dogs had religious significance amongst the Toltecs. When the Aztecs became the ruling class, before the arrival of Europeans in South America, they too adopted the Techichi as a domestic and ceremonial dog. Many of the ancient cultures in South America bred dogs. They weren’t just used as pets, they were bred for wool, meat and for labour. Some experts think that the Chihuahua is descended from the Techichi and is a result of careful selective breeding. This implies that the Chi is a pure native American dog. 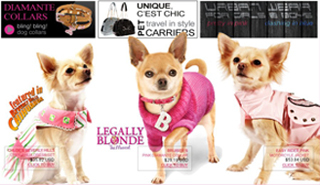 Another theory is that the Chihuahua is of European origin, something that is strongly suggested by its DNA. the trouble with the DNA test, is it only shows the maternal ancestry of the breed. It could have a Techichi father, and a small terrier as a mother of the breed. It may be possible that the modern day Chihuahua came about as a cross between Techichi and stray terriers that came from Europe, via settlers and invading armies. One of the stranger theories, is that the Chihuahua is derived in part, from Fennec foxes. This is highly unlikely, since dogs are descended from wolves and there is almost no chance of foxes and dogs breeding with fertile offspring. There is evidence that points to the Chihuahua coming from Malta, in the Mediterranean. A painting by Sandro Boticelli was completed in 1482 and it featured a small dog with the same physical characteristics of a Chi. This was before Columbus travelled to South America. The fresco is in the Sistine Chapel and is titled Scenes from the Life of Moses. The dog breed from Malta, also has the distinctive molera, that is common to at least 80% of Chihuahuas. The DNA evidence supports the European origin theory. Another reason why the Chihuahua may not be a pure Mexican breed, is due to Europeans breeding small apple-shaped head terriers, as toy breeds. The Spanish destroyed much of the Aztec culture that they found, when exploring and conquering the South American region. Many clues have been lost, but Spanish history suggests that soldiers and sailors who returned to Spain, brought some of the small dogs back with them. Christopher Columbus even mentioned small dogs in his letters to the king of Spain. It is probable that he brought some of the dogs with him on his return journey. Some people believe that the true stories and evidence about certain breeds of dog, are ignored and downplayed by breeders and even by dog clubs. This creates more mystery and glamour about the breed. this could be the case with the Chihuahua. Whatever the true origins of the Chi are, the breed became very popular in the late 19th Century and was recognised by the American Kennel Club in 1904. The UK was quite a bit slower and they recognised the Chi in 1924.